***OPEN HOUSE, Sunday 3/10/19, 2:00-4:00p *** DRAMATIC FLOOR PLAN SWAC SCHOOLS! 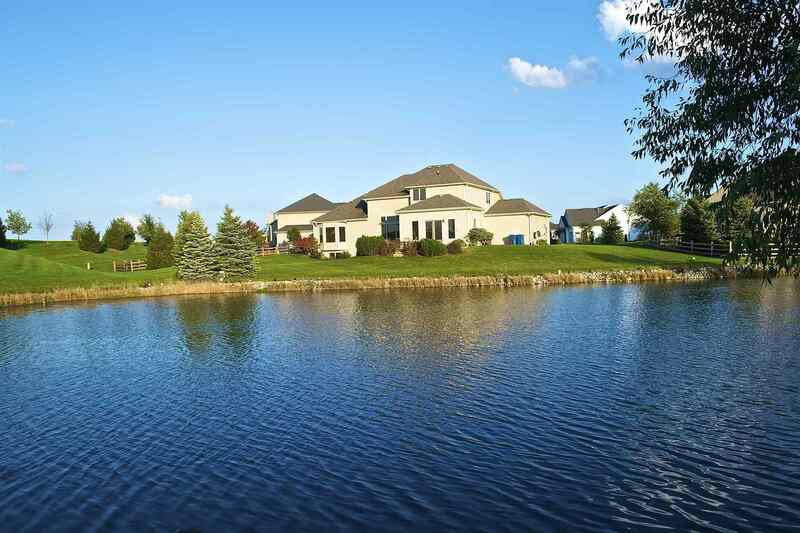 This custom built home is ideal for entertaining and features an OPEN FLOOR PLAN with wonderful pond views year around! If you love the outdoors and an element of privacy--you&apos;ll find this home a perfect blend located on a cul-de-sac lot with adjoining common area! Features include: Volume Ceilings * Dramatic Staircase * Formal Dining Room w/Bay Window * FABULOUS KITCHEN AREA--Plenty of room for a Farm Table or many different room configuration options * Custom Cherry Cabinetry * Island with Breakfast Bar * Pantry & Lots of Storage * 4 Spacious Bedrooms w/Attached Bathrooms * Main Level Master En Suite * Master Bath with Split Sink Areas, Jetted Tub, Full Shower * Lovely Fireplace w/Gas Log that can be enjoyed from Great Room & Kitchen * Main Level Laundry Room w/Utility Sink * FINISHED DAYLIGHT BASEMENT w/FULL BATH--Plumbed for a wet bar, many options for uses in this wonderfully open space * 3 Car Garage w/Additional Storage...SO MUCH MORE!